Posted on Thursday, July 18th, 2013 at 5:42 am. Boxing History: July 17, 1930 Al Singer KO 1 Sammy Mandell, Bronx, NY. Wins world lightweight title. 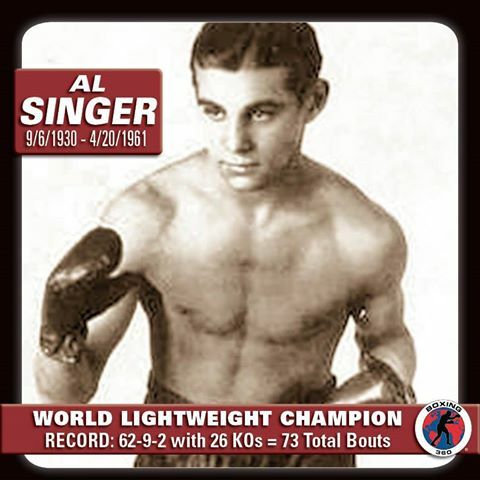 Al Singer (“The Bronx Beauty) (September 6, 1909 – April 20, 1961) was an American boxer. He was born in the Lower East Side in New York City. Singer captured the World Lightweight Championship in July, 1930, with a first round knockout (1:46) of champion Sammy Mandell. 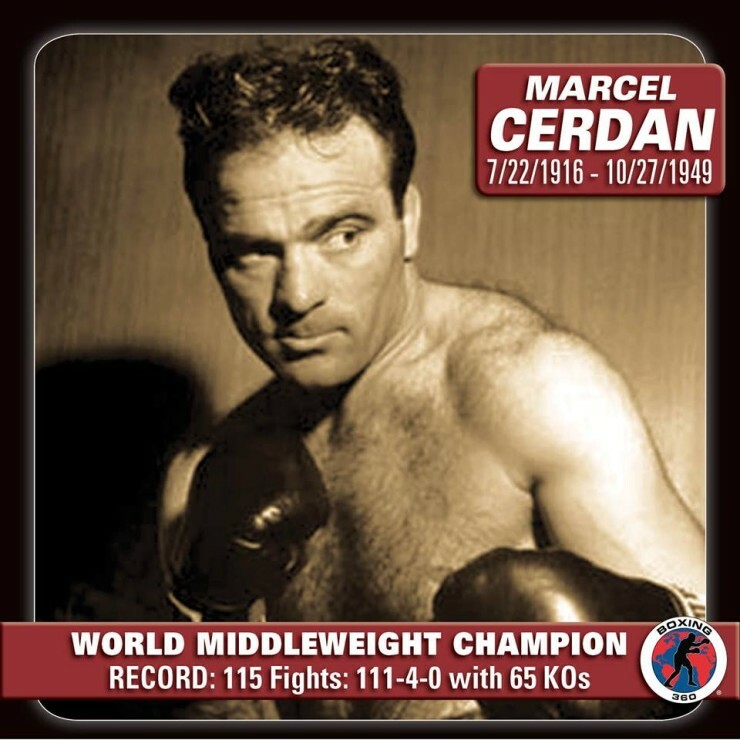 He surrendered the title four months later to Tony Canzoneri in a first round KO. Three years earlier, Singer and Canzoneri had battled to a 10-round draw. In his career, Singer won 62 of 73 pro fights (26 by KO), drawing twice, and losing nine. Inducted into the International Jewish Sports Hall of Fame in 2006. He was killed in a bar fight in New York City. On July 17, 1930, a crowd of 27,742 gathered at Yankee Stadium to see if the odds could be bucked. Sammy Mandel “The Rockford Sheik” never managed to lay a glove on Singer–he never got the chance. Within thirty seconds of the opening bell, Singer caught Mandell with a left hook on the chin that dropped Mandell to the mat. Mandell rose quickly only to be dropped again by a quick flurry of rights and lefts. Once more the brave champion staggered to his feet and once more Singer bowled him over with a fusillade of punches. Finally Singer, with a sinister grin, ended matters conculsively with a perfect overhand right that sent Mandell spinning into a macabre pirouette before he finally crashed flat on his back where he listened to the count of ten with faraway eyes. “On the fourth and final knockdown,” wrote James P. Dawson, “the Yankee Stadium was transformed into a veritable bedlam. Hats flying in air, newspapers and programs tossed aloft, canes waving, husky throats booming, all mingled in a greeting for the new champion.” It was all over in one minute and forty-six seconds. 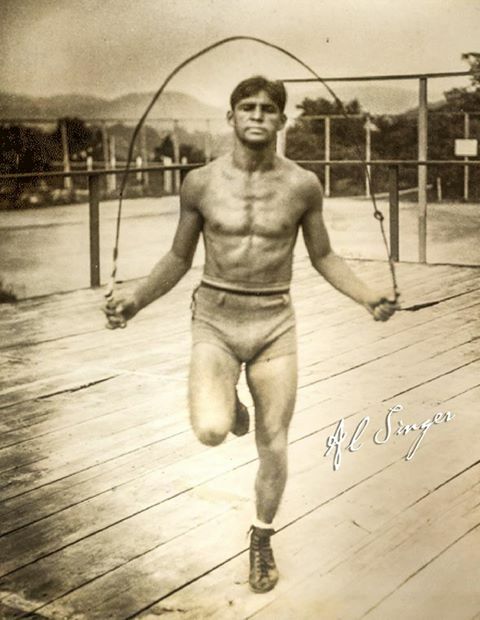 Al Singer, not yet 21, was now the lightweight champion of the world. But not everyone was impressed. Singer, who fought 65 of his 73 bouts in New York City, was one of the greatest attractions ever to step into a Big Apple ring. Some of the box office numbers are astonishing. Both of his fights with ferocious Roaring Twenties hangover Bud Taylor drew 20,000 spectators; 19,000 watched him decision Stanislaus Loayza; and 21,630 amassed for his first brawl with Tony Canzoneri in 1928. Even bouts with less distinguished figures overworked the turnstiles: sellout crowds gathered to see Singer outpoint Davey Abad and annihilate Jersey City hero Young Zazzarino. During World War II, after he retired, Singer was stationed in Camp Upton, where he taught fitness and gave occasional boxing exhibitions. Eventually, Singer was declared physically unfit for service, and he was discharged. The reason? He could barely see out of his right eye, the same one damaged by Patsy Ruffalo in 1929. Al Singer died of a heart attack in New York City in 1961. He has 51 years old. Other historic accounts mention he died in a bar fight in NYC. My uncle was a fighter in the 30s. He never fought Singer. He fought and beat Youn Zazz as well as Fritzie Zivic twice. His name was Joey Ferrando.